Are you sure you want to view the solution now? During the 1950s, the Indian fashion scene was exciting, stylish and very graceful. There were no celebrity designers or models, nor were there any labels that were widely recognised. The value of a garment was judged by its style and fabric rather than by who made it. It was regarded as perfectly acceptable, even for high-society women, to approach an unknown tailor who could make a garment for a few rupees, providing the perfect fit, finish and style. They were proud of getting a bargain, and of giving their own name to the end result. The 1960s was an era full of mischievousness and celebration in the arts, music and cinema. The period was characterised by freedom from restrictions and, in the fashion world, an acceptance of innovative types of material such as plastic and coated polyester. Tight-fitting kurtas and churidars and high coiffures were a trend among women. The following decade witnessed an increase in the export of traditional materials, and the arrival in India of international fashion. Synthetics became trendy, and the disco culture affected the fashion scene. It was in the early 80s when the first fashion store ‘Ravissant’ opened in Mumbai. At that time garments were retailed for a four-figure price tag. American designers like Calvin Klein became popular. In India too, contours became more masculine, and even the salwar kameez was designed with shoulder pads. With the evolution of designer stores came the culture of designer fashion, along with its hefty price tags. Whatever a garment was like, consumers were convinced that a higher price tag signified elegant designer fashion, so garments were sold at unbelievable prices. Meanwhile, designers decided to get themselves noticed by making showy outfits and associating with the right celebrities. Soon, fashion shows became competitive, each designer attempting to out-do the other in theme, guest list and media coverage. In the last decade of the millennium, the market shrank and ethnic wear made a comeback. During the recession, there was a push to sell at any cost. With fierce competition the inevitable occurred: the once hefty price tags began their downward journey, and the fashion-show industry followed suit. However, the liveliness of the Indian fashion scene had not ended - it had merely reached a stable level. At the beginning of the 21st century, with new designers and models, and more sensible designs, the fashion industry accelerated once again. As far as the global fashion industry is concerned, Indian ethnic designs and materials are currently in demand from fashion houses and garment manufacturers. India is the third largest producer of cotton, the second largest producer of silk, and the fifth largest producer of man-made fibres in the world. The Indian garment and fabric industries have many fundamental advantages, in terms of a cheaper, skilled work force, cost-effective production, raw materials, flexibility, and a wide range of designs with sequins, beadwork, and embroidery. In addition, that India provides garments to international fashion houses at competitive prices, with a shorter lead time, and an effective monopoly on certain designs, is accepted the whole world over. India has always been regarded as the default source in the embroidered garments segment, but changes in the rate of exchange between the rupee and the dollar has further depressed prices, thereby attracting more buyers. So the international fashion houses walk away with customised goods, and craftwork is sold at very low rates. As far as the fabric market is concerned, the range available in India can attract as well as confuse the buyer. Much of the production takes place in the small town of Chapa in the eastern state of Bihar, a name one might never have heard of. Here fabric-making is a family industry; the range and quality of raw silks churned out here belie the crude production methods and equipment. Surat in Gujarat, is the supplier of an amazing set of jacquards, moss crepes and georgette sheers - all fabrics in high demand. Another Indian fabric design that has been adopted by the fashion industry is the ‘Madras check’, originally utilised for the universal lungi, a simple lower-body wrap worn in southern India. This design has now found its way on to bandannas, blouses, home furnishings and almost anything one can think of. Ethnic Indian designs with batik and hand-embroidered motifs have also become popular across the world. Decorative bead work is another product in demand in the international market. Beads are used to prepare accessory items like belts and bags, and beadwork is now available for haute couture evening wear too. You should spend about 20 minutes on Questions 14-26, which are based on Reading Passage 2 on the following pages. The idea that, by obliging developers of new housing to contribute to the cost of infrastructure and service requirements, all the necessary finance could be raised, has proved unachievable. Substantial public finance was still needed to deliver major projects such as the new link road to the A34 on the outskirts of the town at Milton, the improved railway crossing at Marsh Bridge and new schools. Such projects were delayed due to difficulties in securing public finance. The same problem also held back expansion of health and social services in the town. In recent years, government policy, in particular the requirement for developers that forty percent of the units in a new housing development should be low cost homes, has had a major impact on the economics of such development, as it has limited the developers’ contribution to the costs of infrastructure. The planning authorities are facing difficult choices in prioritising the items of infrastructure which must be funded by development, and this, in turn, means that from now on public finance will need to provide a greater proportion of infrastructure project costs. One of the most influential ideas in the study of languages is that of universal grammar (UG). Put forward by Noam Chomsky in the 1960s, it is widely interpreted as meaning that all languages are basically the same, and that the human brain is born language-ready, with an in-built programme that is able to interpret the common rules underlying any mother tongue. For five decades this idea prevailed, and influenced work in linguistics, psychology and cognitive science. To understand language, it implied, you must sweep aside the huge diversity of languages, and find their common human core. Since the theory of UG was proposed, linguists have identified many universal language rules. However, there are almost always exceptions. It was once believed, for example, that if a language had syllables that begin with a vowel and end with a consonant (VC), it would also have syllables that begin with a consonant and end with a vowel (CV). This universal lasted until 1999, when linguists showed that Arrernte, spoken by Indigenous Australians from the area around Alice Springs in the Northern Territory, has VC syllables but no CV syllables. Other non-universal universals describe the basic rules of putting words together. Take the rule that every language contains four basic word classes: nouns, verbs, adjectives and adverbs. Work in the past two decades has shown that several languages lack an open adverb class, which means that new adverbs cannot be readily formed, unlike in English where you can turn any adjective into an adverb, for example ‘soft’ into ‘softly’. Others, such as Lao, spoken in Laos, have no adjectives at all. More controversially, some linguists argue that a few languages, such as Straits Salish, spoken by indigenous people from north-western regions of North America, do not even have distinct nouns or verbs. Instead, they have a single class of words to include events, objects and qualities. Even apparently indisputable universals have been found lacking. This includes recursion, or the ability to infinitely place one grammatical unit inside a similar unit, such as ‘Jack thinks that Mary thinks that ... the bus will be on time’. It is widely considered to be the most essential characteristic of human language, one that sets it apart from the communications of all other animals. Yet Dan Everett at Illinois State University recently published controversial work showing that Amazonian Piraha does not have this quality. But what if the very diversity of languages is the key to understanding human communication? Linguists Nicholas Evans of the Australian National University in Canberra, and Stephen Levinson of the Max Planck Institute for Psycholinguistics in Nijmegen, the Netherlands, believe that languages do not share a common set of rules. Instead, they say, their sheer variety is a defining feature of human communication - something not seen in other animals. While there is no doubt that human thinking influences the form that language takes, if Evans and Levinson are correct, language in turn shapes our brains. This suggests that humans are more diverse than we thought, with our brains having differences depending on the language environment in which we grew up. And that leads to a disturbing conclusion: every time a language becomes extinct, humanity loses an important piece of diversity. If languages do not obey a single set of shared rules, then how are they created? ‘Instead of universals. you get standard engineering solutions that languages adopt again and again, and then you get outliers.' says Evans. He and Levinson argue that this is because any given language is a complex system shaped by many factors, including culture, genetics and history. There- are no absolutely universal traits of language, they say, only tendencies. And it is a mix of strong and weak tendencies that characterises the ‘bio-cultural’ mix that we call language. According to the two linguists, the strong tendencies explain why many languages display common patterns. A variety of factors tend to push language in a similar direction, such as the structure of the brain, the biology of speech, and the efficiencies of communication. Widely shared linguistic elements may also be ones that build on a particularly human kind of reasoning. For example, the fact that before we learn to speak we perceive the world as a place full of things causing actions (agents) and things having actions done to them (patients) explains why most languages deploy these grammatical categories. Weak tendencies, in contrast, are explained by the idiosyncrasies of different languages. Evans and Levinson argue that many aspects of the particular natural history of a population may affect its language. For instance, Andy Butcher at Flinders University in Adelaide, South Australia, has observed that indigenous Australian children have by far the highest incidence of chronic middle-ear infection of any population on the planet, and that most indigenous Australian languages lack many sounds that are common in other languages, but which are hard to hear with a middle-ear infection. Whether this condition has shaped the sound systems of these languages is unknown, says Evans, but it is important to consider the idea. Levinson and Evans are not the first to question the theory of universal grammar, but no one has summarised these ideas quite as persuasively, and given them as much reach. As a result, their arguments have generated widespread enthusiasm, particularly among those linguists who are tired of trying to squeeze their findings into the straitjacket of ‘absolute universals’. To some, it is the final nail in UG’s coffin. 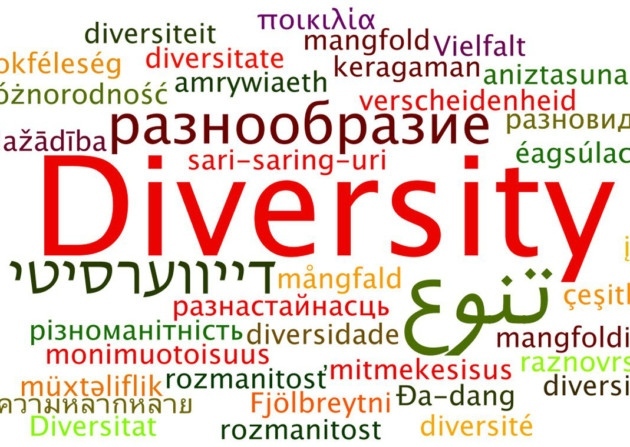 Michael Tomasello, co-director of the Max Planck Institute for Evolutionary Anthropology in Leipzig, Germany, has been a long-standing critic of the idea that all languages conform to a set of rules. ‘Universal grammar is dead,’ he says. 8 TRUEFALSENOT GIVEN At the start of the 21st century, key elements in the Indian fashion industry changed. 9 TRUEFALSENOT GIVEN India now exports more than half of the cotton it produces. 10 TRUEFALSENOT GIVEN Conditions in India are generally well suited to the manufacture of clothing. 11 TRUEFALSENOT GIVEN Indian clothing exports have suffered from changes in the value of its currency. 12 TRUEFALSENOT GIVEN Modern machinery accounts for the high quality of Chapa’s silk. 13 TRUEFALSENOT GIVEN Some types of Indian craftwork which are internationally popular had humble origins. Reading Passage 2 has 9 paragraphs, A-l.
Write the correct letter, A-l.
Write the correct letter, A-F.
A It provided extra facilities for shopping and cars. C Its layout was unsuitable. D Its construction was held up due to funding problems. E It was privately funded. F It failed to get Council approval at first. A certain proportion of houses in any new development now have to be of the 24 type. The government is keen to ensure that adequate 25 will be provided for future housing developments. 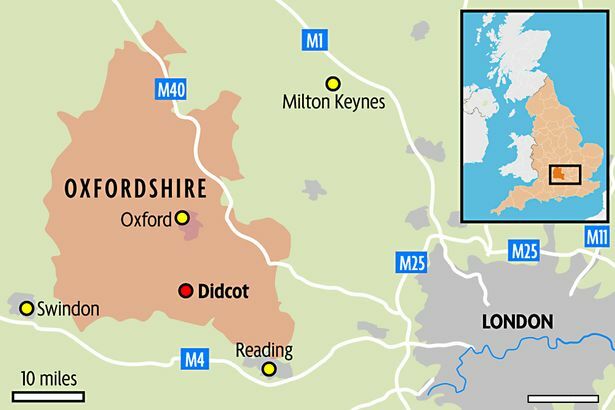 The views of Didcot’s inhabitants and others will form the basis of a 26 for the town. 27 YESNONOT GIVEN In the final decades of the twentieth century, a single theory of language learning was dominant. 28 YESNONOT GIVEN The majority of UG rules proposed by linguists do apply to all human languages. 29 YESNONOT GIVEN There is disagreement amongst linguists about an aspect of Straits Salish grammar. 30 YESNONOT GIVEN The search for new universal language rules has largely ended. 31 YESNONOT GIVEN If Evans and Levinson are right, people develop in the same way no matter what language they speak. 32 YESNONOT GIVEN The loss of any single language might have implications for the human race. Which of the following views about language are held by Evans and Levinson? A Each of the world’s languages develops independently. B The differences between languages outweigh the similarities. C Only a few language features are universal. D Each language is influenced by the characteristics of other languages. C shared modes of perception. In the eighth paragraph, what does the reference to a middle-ear infection serve as? A A justification for something. B A contrast with something. C The possible cause of something. D The likely result of something. What does the writer suggest about Evans’ and Levinson’s theory of language development? A It had not been previously considered. B It is presented in a convincing way. C It has been largely rejected by other linguists. D It is not supported by the evidence. Which of the following best describes the writer’s purpose? A To describe progress in the field of cognitive science. B To defend a long-held view of language learning. C To identify the similarities between particular languages. D To outline opposing views concerning the nature of language. Complete each sentence with the correct ending, A-E, below. Write the correct letter, A-E.
A words of a certain grammatical type. B a sequence of sounds predicted by UG. C words which can have more than one meaning. D the language feature regarded as the most basic. E sentences beyond a specified length.